Who Knows More About Cybersecurity: Middle Schooler or Presidential Candidates? A middle school filmmaker from New Jersey may be the next big expert in cybersecurity and cyber warfare. 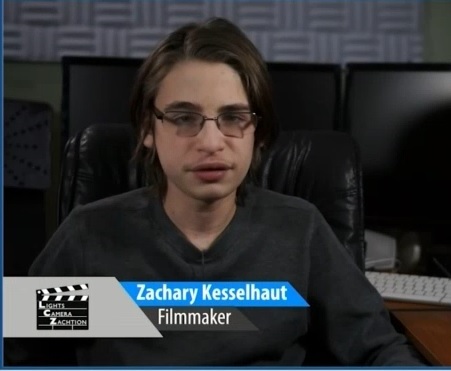 Zachary Kesselhaut produced a short documentary titled “Cyberwarfare: The Next Big Problem,” which addresses the lack of cyber knowledge among presidential and political candidates. “Their platforms mainly concentrate on social and economic issues, but none of them have mentioned what could be our biggest issue ever as a country,” Kesselhaut said in the documentary. Kesselhaut’s film addresses major cyber issues, such as denial of service (DOS) hacks, endangered infrastructure, and a lack of governmental funding. For example, in 1998, a 12-year-old was able to hack into the systems of the Roosevelt Dam in Arizona, damaging nothing but proving just how weak infrastructure cybersecurity can be. The filmmaker also found that most infrastructure that uses Supervisory Control And Data Acquisition (SCADA) monitoring keeps the default passwords set by the manufacturer, which can be found through a basic Web search. The film also pointed out that funding for U.S. Cyber Command–the only government entity that has the authority to employ direct cyberattacks–has gone from $550 million in 2014 to $460 million in 2016.